Please give a warm welcome to our new Stylist Laura! 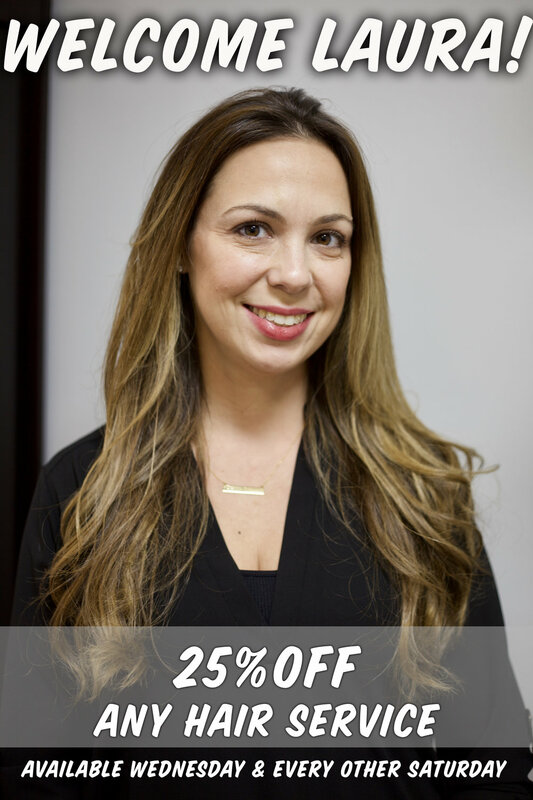 In honor of her arrival, Laura is offering 25% off ALL her hair services! Buy Your Fashion Show Tickets!